A bare-chested river-god reclines with his arm resting upon the head of a crocodile. 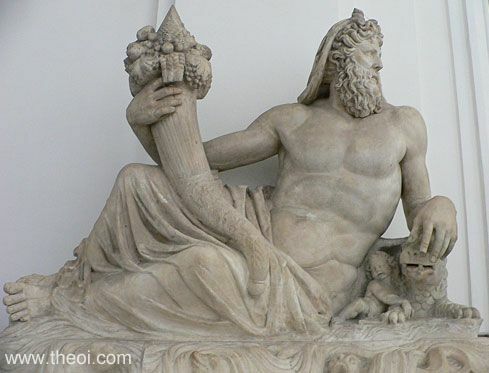 He holds a cornucopia (horn of plenty) brimming with fruit in his hand. An infant Carpus (Fruits of the Earth) embraces the crocodile.